Monday, January 29, 2018 10 a.m. to Wednesday, January 31 at 4 p.m. 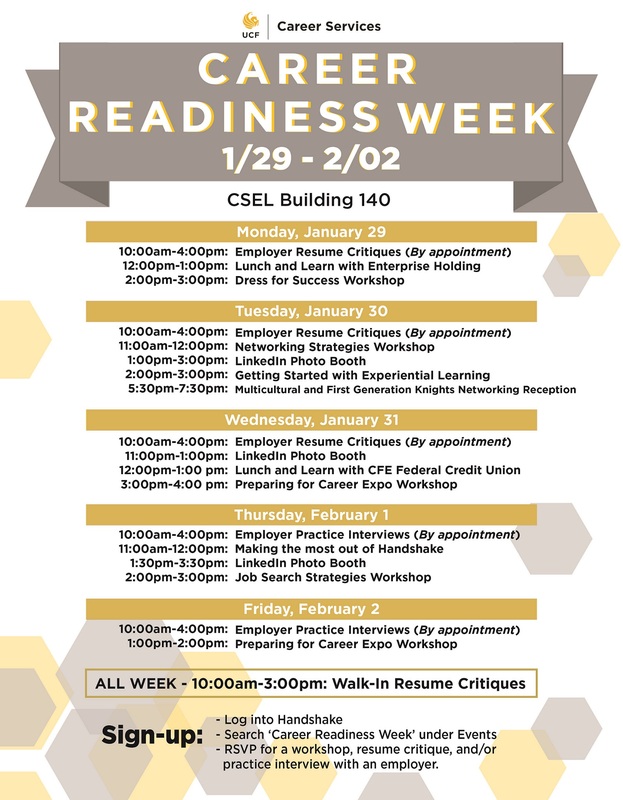 This week of career readiness programs will provide UCF students and alumni an opportunity to have their resume critiqued and to practice their interview skills with an employer. January 29th - 31st: Resume critiques with an employer will be in 30 minutes in length from 10:00am-4:00pm, by appointment. Select the appointment type you would like to setup below based on your major. Once you've clicked the link, sign-up for a specific time slot on one of the 3 days.